Now with new cover design jacket. Victoria Square, that green and peaceful oasis in the centre of Christchurch, has a special claim to fame: it is the only city square in the world with a river running through it. 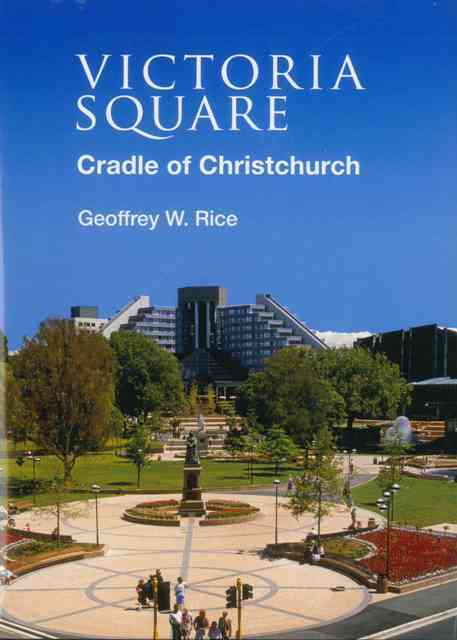 And it has a rich and varied history, starting in 1850 when, as Christchurch's Market Place, it was the centre of commerce in the fledgling settlement. Before long it was home to little wooden shops, busy hotels and flourishing businesses, and to the city's law courts. Much later it was the site of the splendid town hall. There have been many changes over the years, by far the most drastic those that followed the major earthquakes of 2010 ad 2011. All the buildings on the square's eastern side, and most of those to the south, were demolished, along with the eye-catching tourist hotel that had occupied its north-west corner from 1988. 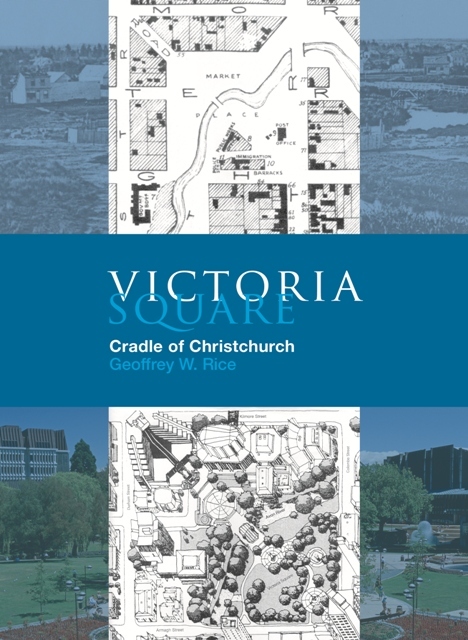 Until the earthquakes Victoria Square was regarded as the most successful urban space in New Zealand, and even in Australasia, and that admired layout, dating from the 1980s, survives, though it may yet be modified as the city rebuilds. This lively and entertaining book, illustrated with 250 photographs, many never before published, is written by an author with a deep knowledge of and love for his city. It is a fascinating architectural survey of a unique civic space but, much more than that, it is the story of a place and its people, of protests and processions, of concerts and dances, of festivals and fights, of busy department stores, of hotels and tourists, of judges and courtrooms. Geoffrey Rice brings to life many of the stories and events connected with Victoria Square and the colourful personalities who have lived and worked there for over a century and a half. 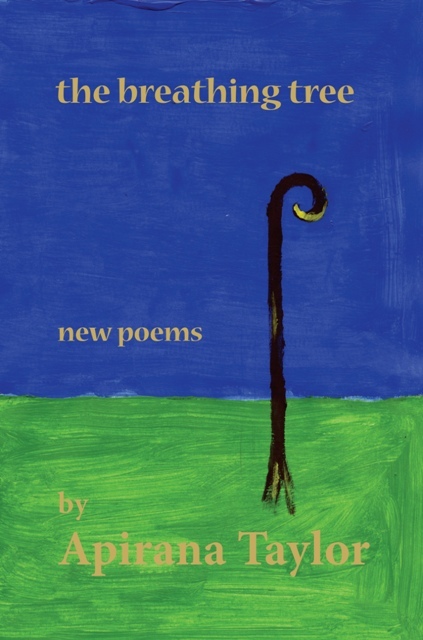 This collection offers 40 new poems from popular poet Apirana Taylor. Inspired by nature and mythology, he shifts his focus from the mundane to the mysterious, and with characteristic wit and intensity shares his delight and despair in what he discovers. 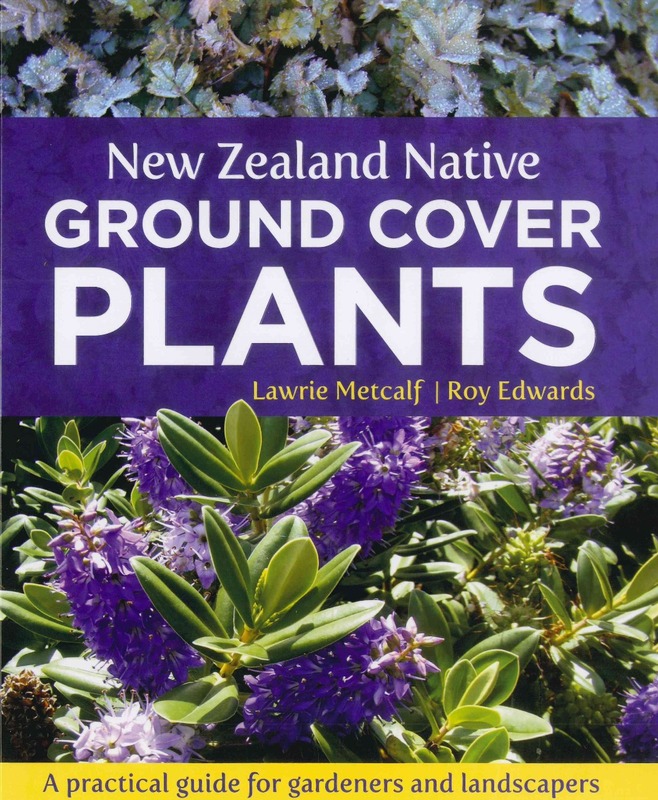 Accessible and tender, but pulling no punches, his work assumes many forms and has been included in New Zealand schools' English curriculum. 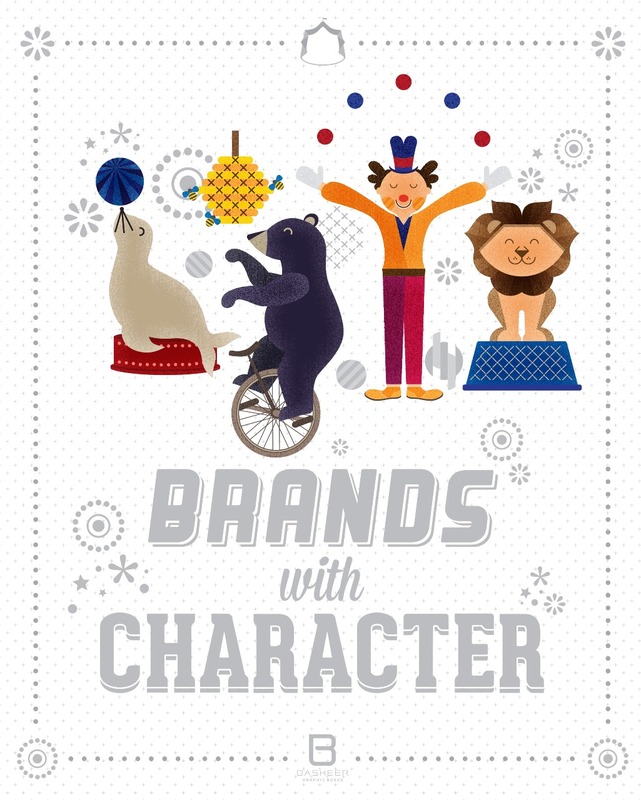 Brands with Character showcases the strongest in brand identities employing characters to capture people’s attention. The featured designs are based on humans, animals and even anthropomorphized logos and words that reflect the unique principles and backgrounds of each brand. The identities range from sleek and modern to playful and childlike and are sure to delight and inspire. A diverse selection that ranges from small cafes, candy companies and independent clothing lines to large corporations, hospitals, schools and events fully immerses the reader in the colourful and dynamic world of brand characters. Featured brands include McDonald’s, Mr. Bean, Tower Records, Android, Adobe User Group XL, Wrigley, Pepsi and many more. • Ever accidentally used your thumb as a hammer cushion while partaking in a spot of DIY? • Do you become enraged at the uncontrollable bobbing of the straw in your drinks can? • Are you yearning to find a way to make your toilet roll tube enhance your music listening experience? 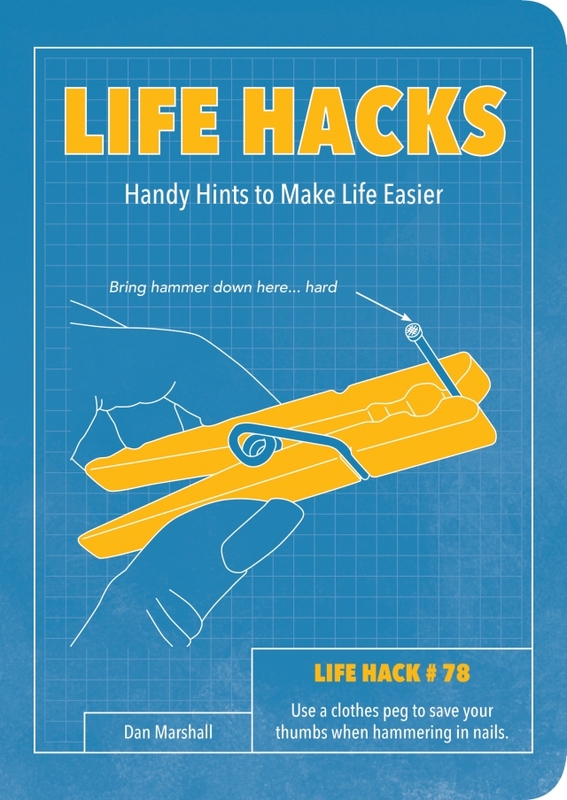 These and dozens of other everyday dilemmas are solved with LIFE HACKS, your handy guide to tackling little annoyances before they turn into big problems. This fully illustrated manual covers everything from nifty electric cable management to ingenious cooking methods and much, much, more. Remember: if life throws you a curveball – HACK IT! Welcome to the sweet life! This book is for people who want to live healthily, but also love delicious and inviting cakes. For health is not only about diets and guilt. Health is also about having fun and a love of life and the body. 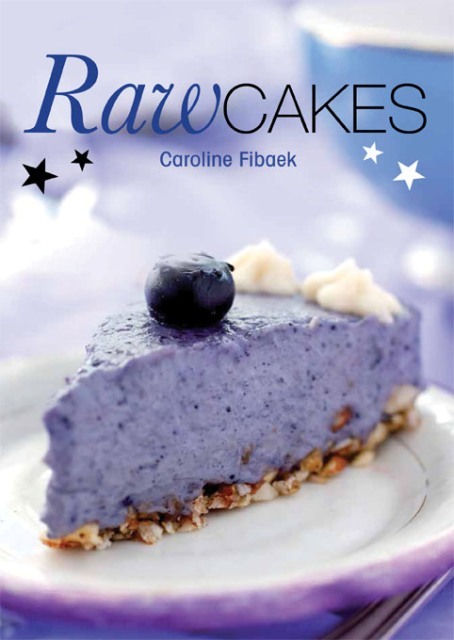 All the cakes in this book are based on raw food principles and are completely free of sugar, milk, additives, gluten and animal fats. They are 100% vegan, unheated, natural and bursting with flavour and nutrition. There are tips on how to stop comfort eating and bad and unhealthy habits once and for all. You’ll get practical advice on how to fight the craving for sweets, and how you can easily replace the unhealthy, sweet and fatty with healthy, delicious and especially nutritious alternatives. Let health, balance and happiness be your new addiction - because you can really get addicted to feeling good! First published in 1996 (and selling over 50,000 copies) but out of print for many years, now back by popular demand is Ruth Van Waerebeek’s wonderful compendium of Belgian recipes. Belgium is a country that boasts more three-star restaurants per capita than any other nation ̶ including France. It's a country where home cooks ̶ and everyone, it seems, is a great home cook ̶ spend copious amounts of time thinking about, shopping for, preparing, discussing, and celebrating food. With its hearty influences from Germany and Holland, herbs straight out of a Medieval garden, and condiments and spices from the height of Flemish culture, Belgian cuisine is elegant comfort food at its best ̶ slow-cooked, honest and comforting. It's the Sunday meal and a continental dinner party, family picnics and that antidote to a winter's day. 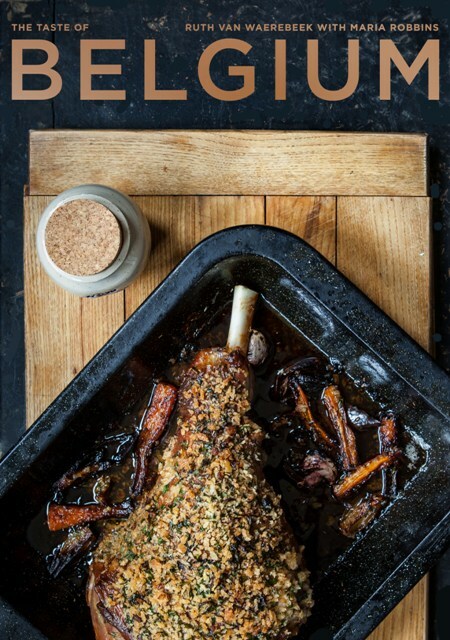 In 250 delicious recipes, here is the best of Belgian cuisine. Veal Stew with Dumplings, Mushrooms, and Carrots, Smoked Trout Mousse with Watercress Sauce, Braised Partridge with Cabbage and Abbey Beer, Gratin of Belgian Endives, Flemish Carrot Soup, Steak-Frites, Steamed Mussels, and desserts, some using the best chocolate on earth: Belgian Chocolate Ganache Tart, Almond Cake with Fresh Fruit Topping and Little Chocolate Nut Cakes. As the Belgians say, since everybody has to eat three times a day, why not make a feast of every meal? Herbalist to King Charles I, John Parkinson (1567–1650) was a master apothecary, herbalist and gardener. Famous in his own lifetime for his influential books, his magnum opus was published in 1640, the Theatrum Botanicum, which ran to 1,788 large pages. The sheer scope and size was perhaps to prove the book’s downfall because, while it was much revered and indeed plagiarized, it was never reprinted and now has the status of an extremely valuable rare book. Parkinson was writing at a time when Western herbalism was at its zenith, and his skills as a plantsman combined perfectly with his passion for science, observation and historical scholarship. 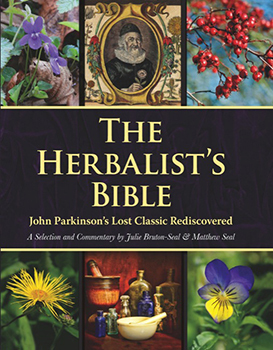 In this editor’s selection, Julie and Matthew have printed Parkinson’s clear and lively description of a chosen plant’s ‘vertues’ or healing properties, adding their own modern commentary and a contemporary take on his almost-forgotten herbal recipes. Busy herbalists, historians and gardeners will welcome this restoration and sensitive highlighting of Parkinson’s huge lost classic. 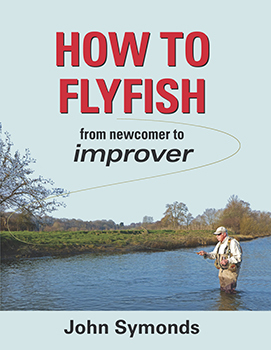 In this clear and attractive book are all the essential skills you need to be a competent all-round flyfisher. With John Symonds you will learn how to fish for trout and salmon in stillwaters from both bank and boat; in rivers; dry fly and wet fly. You will know how to tie reliable and easy knots, to construct the right leaders, learn where the fish are most likely to lie, how to cast to them and which flies to use. How to Flyfish will bring you up-to-date with all the latest on leader construction and knots, boat control with the paradrogue, traditional nymphing methods to the popular tenkara style. 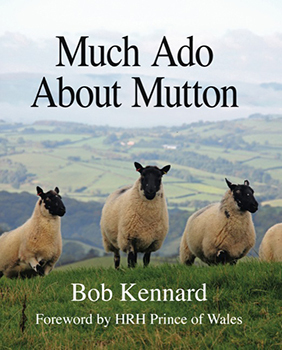 Packed with useful tips and clear diagrams.